Smokeless tobacco products (STP) such as nicotine gums, betel liquid, snuff and flavored nicotine products are used by people to give up traditional cigarettes. They are becoming popular among people because it is portrayed as smoke-free, harmless and a safe alternative to conventional tobacco products. But studies are being conducted to find the risks associated with these smokeless tobacco products and several reports of their harmful effects are being unveiled. 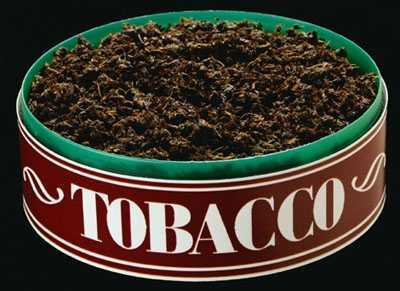 In an interesting study by the US Food and Drug Administration (FDA), researchers have reported that smokeless tobacco products may carry several species of bacteria, which could be a serious cause of health concern. STP are hazardous and additive substances as they contain toxic substances. WHO estimates that 10 million people will die due to tobacco smoking by 2020. STP are of three broad types; nasal stuff, chewable tobacco and moist snuff. Nicotine and tobacco-specific nitrosamines are the major toxic compounds. Formation of Carcinogenic tobacco-specific N-Nitrosamines (TSNA) in the tobacco products due to reduction of nitrates to nitrites by Staphylococcus epidermidis and Staphylococcus hominis strains. Severe diarrhea and vomiting due to other Bacillus sp. Users need to hold these products near to the mouth for longer hours to make nicotine enter the bloodstream. Long periods of contact with the mouth and mucous membrane can lead to oral infections due to entry of bacteria into the oral cavity. These products can cause gum diseases such as gingivitis and bacterial strains such as Staphylococci have been linked to cause heart defects. Gum diseases and oral infections can favor the entry of these deadly bacteria directly into the blood stream, increasing risk of heart valve inflation in the users. Chewable tobacco use can cause oral cancer, throat cancer, esophageal cancer and pancreatic cancer. Myocardial infarction, hypertension and abnormal heart rate are possible heart problems due to smokeless tobacco use.